17th June 2016 / synæsthesia @ Fylkingen (Stockholm. A live performance where motion and sound are created from scratch just by Type In with a keyboard. The grid is the framework and the text characters are the instructions. 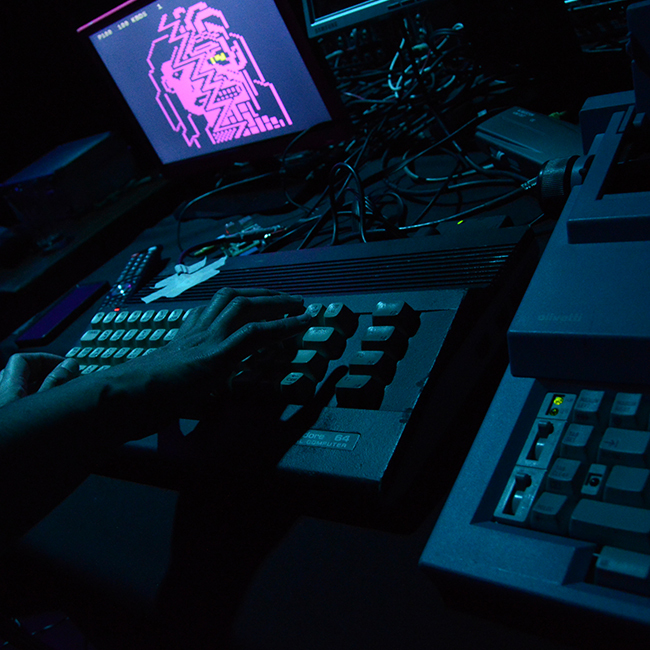 A complete method of craft stored in text who uses a Commodore C64, a Typewriter and a Teletext (Text-tv) Service. Text is used unadorned and rough-cast, like concrete. A brutalist storytelling about technology. 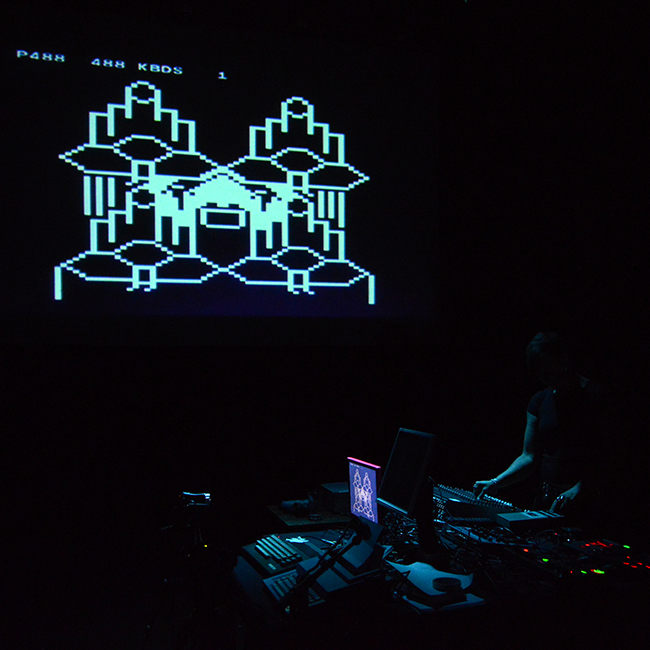 The project was premiered at ‘net based @ HeK – House of Electronic Arts’, Basel, in March 2016. 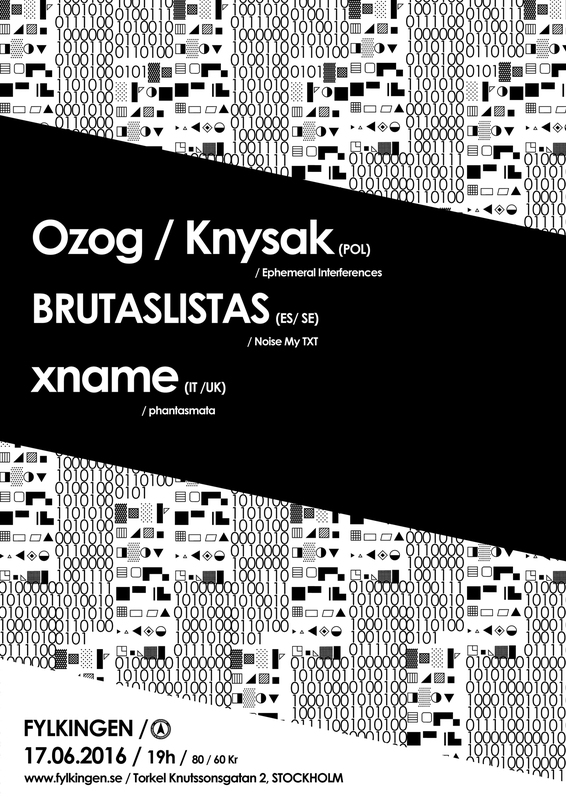 BRUTASLISTAS are Raquel Meyers (ES) and Alexandra Nilsson (SE) who started their collaboration in 2015 after having played together at Ϟ ELEKTRANATTEN Ϟ in Malmö. 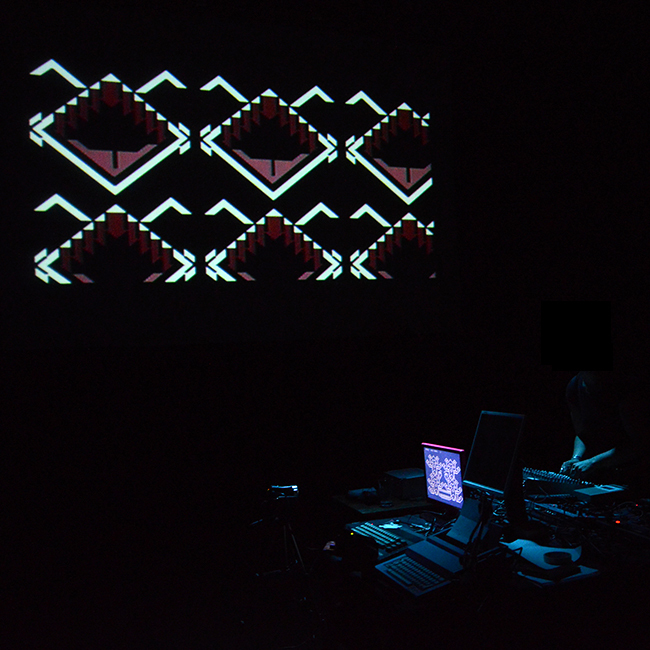 The first result of this collaboration was ‘Machete al Machote’, premiered at VINDÖGA Festival, a live performance with real time processed trumpet, electronics and PETSCII visuals. Noise my TXT is their latest project, focusing on real time typing and processing. xname aka Eleonora Oreggia is a London based conceptual electronic artist from Milan and she makes performances and interactive installations. 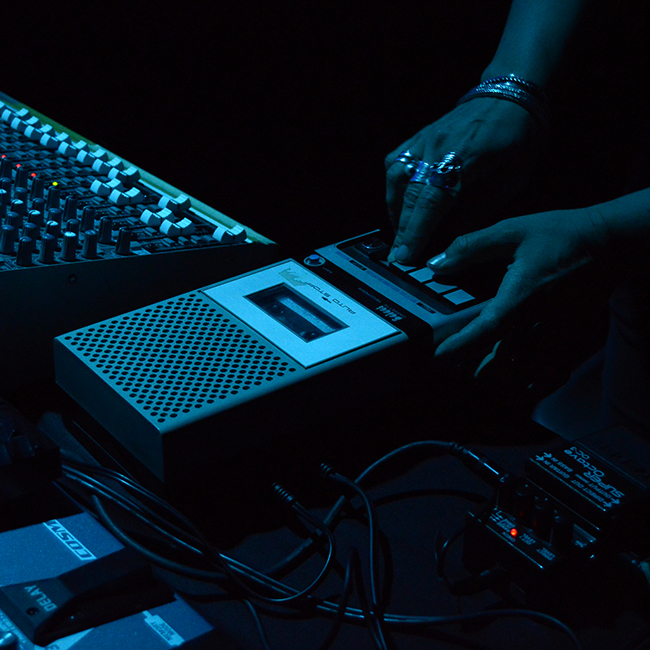 Her live compositions transform light and other electromagnetic frequencies in sound waves through self built synthesizers and complex semi chaotic machines. She is currently associated with the Augmented Instruments Laboratory at Queen Mary University where she is developing electronic musical instruments within the Antennas & Electromagnetics Group. She is also the founder of Nebularosa, a record label promoting experimental electronic music that challenges the established modes of music production. Is the audiovisual performance wherein close interactions between improvised sounds and moving images trigger deep immersive experience of optical sound and sonified vision. Maciej Ożóg uses electromagnetic field sensors, custom-build Analog RF Power Detector for Sonification of Wireless Network Traffic as well as software to create dense soundscapes that are a form of sonification of invisible architecture of electromagnetic flows specific for the performance venue. Mariusz Knysak creates images in real time with the help of mirrors, polished metal sheet, and other reflexive materials set in motion by the performer creating ephemeral, hologram-like, ghost-like images that flow in space engulfing the audience.